Master the elements this winter with the Trish from Mackage. 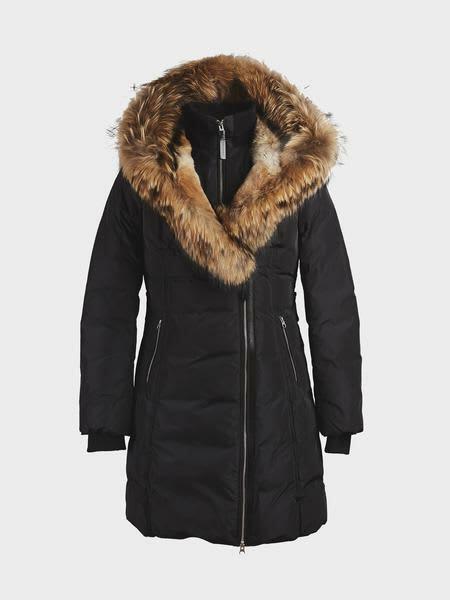 This quilted down filled jacket has above the knee length finish with a separable lined rabbit fur hood and a racoon furred trim. Equipped with heavy duty zip's, leather trims and a central front zip.